Most famous for its football team, West Ham itself is located in the London borough of Newham. Residential parts are mainly located in the east of the district, with the Olympic Park found in the west. West Ham has a number of Victorian terraces as well as higher density post-war social housing. Along with the neighbouring Plaistow, West Ham is part of the ‘New Deal for Communities’ programme. This means the district will have regeneration in the near future. Located extremely close to central London, West Ham is ideal for commuters. Charing Cross is just 6.1 miles away while West Ham station is well-connected by the London underground. For the best letting agents in West Ham, pay a visit to Forest Estates. 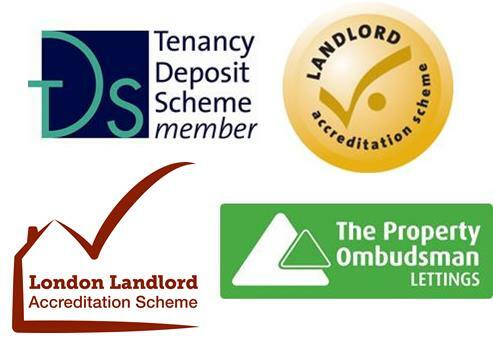 We are a small family run business who are keen to help both tenants and landlords. We offer excellent rates for new landlords, with guaranteed and insured rents for all of London and the South East. All our staff are highly experienced and there is no one fighting for commission. There are even reduced fees for new instructions in July. Don’t miss out! Get in touch today. To discover more, simply visit our main website. Located in the East London, close to Canary Wharf, Canning Town is part of the London borough of Newham. If searching for a London area on the brink of change, this is certainly the place to be. Situated where the London docks used to be, Canning Town is soon set to undergo some serious regeneration. This includes the building of 10,000 new homes, creation of thousands of jobs, and two improved town centres. With £3.2 billion due to be poured into the district, the investment will transform the area physically, socially and economically. Once described as ‘a child of the Victorian docks’, Canning Town underwent a previous regeneration in the 1930s, with numerous slum clearances. At this point it was suffering from serious overcrowding, with landlords charging high rents and households relying on casual work. With Canning Town set to reflect the changes in other areas of East London, it’s likely to be an exciting place to live in the years to come. Do you require tenant services in Canning Town? Being a tenant in the city of London isn’t always easy. With rents hitting an all-time high, it can be hard to find a letting agent on your side. Why not give Forest Estates a call? At Forest Estates, many of us have been tenants in the past, so we truly appreciate your need and concerns. To find out more, simply click here. With prices every rising in London, it’s often hard to believe there are any affordable places left. However, Dagenham and Barking, found at the end of the District Line, is one such place. One of the best places for students or first-time buyers, Dagenham in particular is one of the cheapest places in East London. Hiding some hidden treasures, like Eastbury Manor House, the A13 Artscape Gallery and Eastbrookend Country Park, there’s more to the area than meets the eye. Before the interwar years, Dagenham was a rural idyll: a quiet Essex village that hadn’t yet developed. Nowadays it’s a vibrant and multi-cultural area of London that remains fairly priced. Like many areas of outer London, it’s likely to develop over the next few years. For the best letting agents in Dagenham, pay a visit to Forest Estates. We are one of the longest running letting agents in East London, having been working here 33 years. As a small family run business, we won’t have anybody fighting aggressively for commission. Our services include guaranteed rents for 3-5 years, company/holiday lets on any property, insured rent for 1-3 years on any property, and 6-12 months tenancy agreements. We work all across East London.